– AND makes your heart happy, too! We are Bene's Career Academy ... you know us and we know beauty! While studying Cosmetology at Bene's you will spend a considerable amount of time learning to achieve specific looks for each individual client. Paying special attention to the client's specific features, you must assess their hair type and facial features as well as their needs and desires. Providing the client with a feel good experience and confidence is key to success. This two-step cosmetology program includes the 1,200 hours of training required to take the Florida state board exam. The first section includes the basics: Cutting and color, hair design, and long hair and spa training. Step two is spent hands-on in our beauty salons for real-world experience to help you excel in the day-to-day basics of your beauty career. Day full time students attending 30 hours per week complete the program in 40 weeks. The day full time class schedule is Monday -Friday 9:00 am- 3:00 pm. Night time students attending 25 hours per week complete the program in 48 weeks. Night full time class schedule is Monday-Friday, 5:00 pm to 10:00 pm. Part- time schedule for students attending 15-18 hours a week completes the program in 60 weeks. The Part-time class schedule is three days a week, 9:00 am- 3:00 pm or Night part time schedule is 5:00 pm-10:00 pm. Part time schedules are available - minimum of 12 hours a week. Training consists of specific subjects of study (courses/ units) and hands-on experience with clients, all of whom know that their stylists are students being supervised by licensed cosmetology instructors. We present the Cosmetology Program content and the Board-required subjects (also called units of instruction or courses) are threaded throughout these two phases: Basics and the Clinic-Floor Experience. In addition, the Milady texts provide lesson plans and an expansion of the basic state-required coursework. 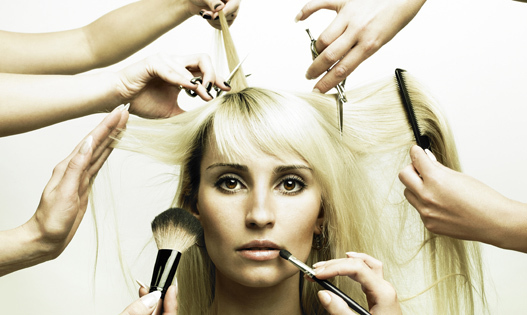 A Cosmetology license can provide you with a variety of opportunities. Bringing passion and desire to the workplace is the ultimate desire of the Cosmetology professional.